I saw this amazing brownie cake on Instagram a few days ago, and then I ended up needing a birthday treat for a friend just a few days later. 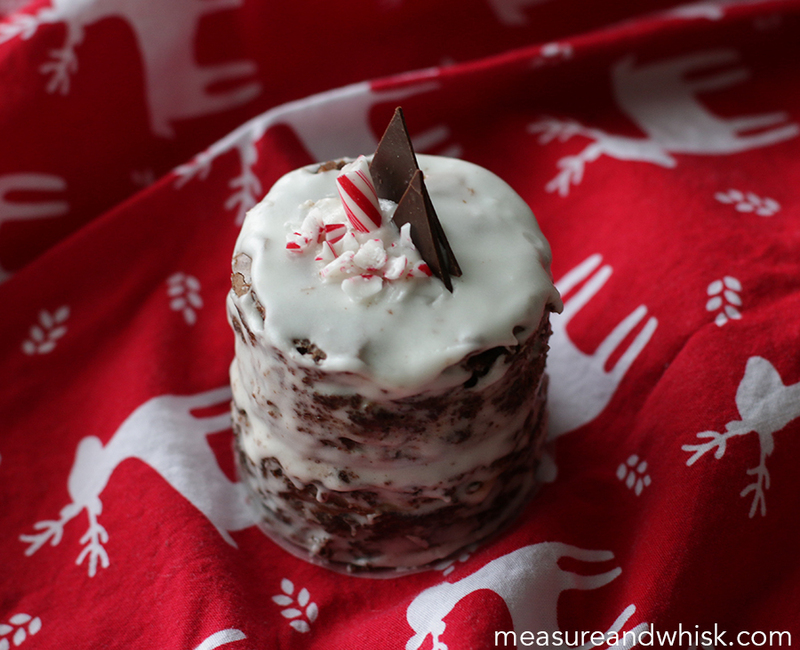 I realized I had all the things to make a delicious peppermint cake. And delicious it was! So much better than most chocolate cake. I don't even like most chocolate cake, so using brownies was a welcome change. Mine is certainly not as pretty as the one from isntagram, but there is something lovely about a mini-cake. Also, using brownies means it doesn't have to be quite as perfect looking as a regular cake (I just made that up, but I will stand by it!). AND, I got to eat all the edge bits on the brownies, and I will never say no to those, because YUM! 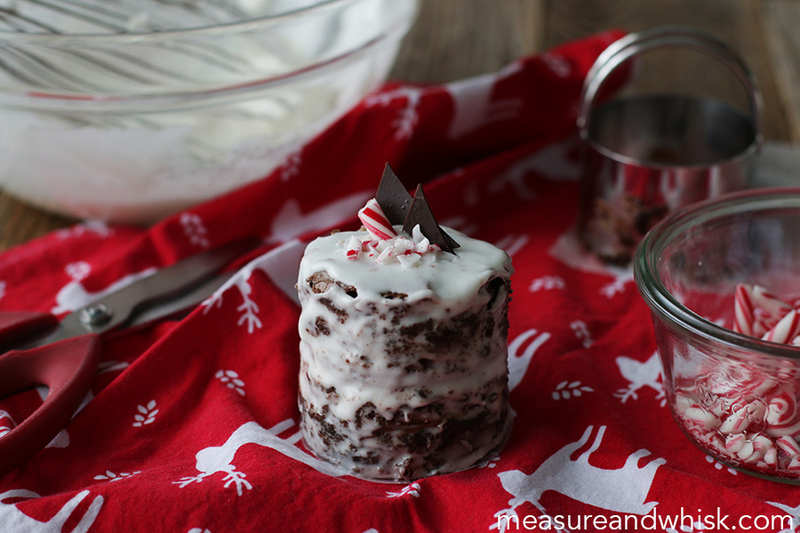 I hope your Christmas season is loaded with tasty baking, gentle snow falling, and brownie edges. Combine all icing ingredients in a large bowl, and whisk for a minute or so until the mixture is smooth. Set aside. Cook your brownies. Once they have cooled, use a biscuit cutter (or 2 1/2" diameter glass), remove 4 or 6 rounds. 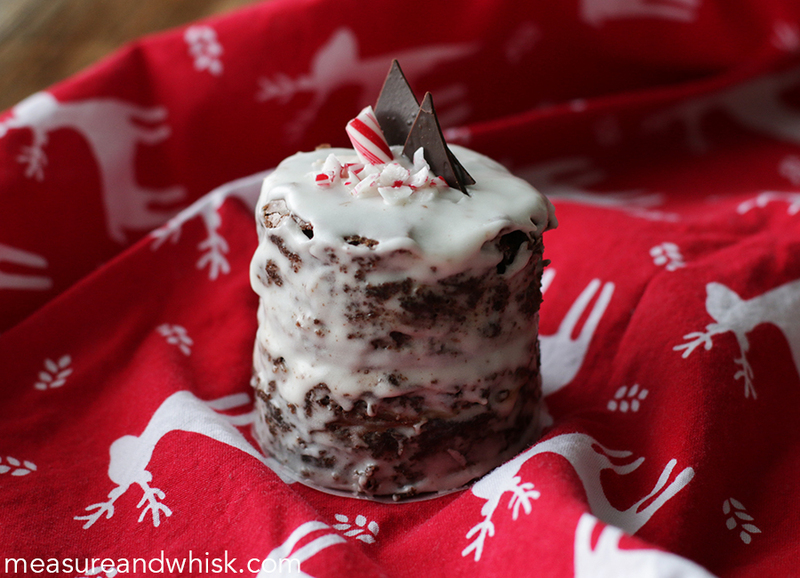 Spread a layer of icing on the top of one brownie round. Put a second brownie round on top, then spread icing on the top, then around the sides with a stiff spatula. I did my icing 'naked cake' style, where you skim off the icing so you can see the cake underneath. The icing is a little runny, so this is the easiest way to do it. Freeze for about 10 minutes, until the icing is set. 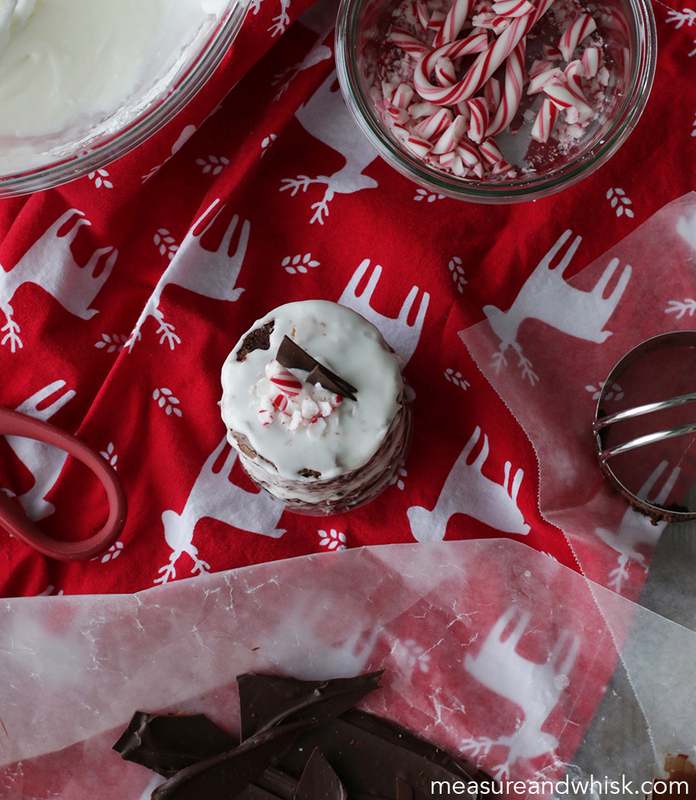 Top with a dollop of soft icing, then add the chocolate pieces and peppermint pieces. That looks to be just the right size!